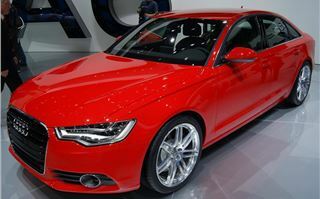 You name it and in the past couple of years Audi has probably launched it. Five and seven-seat SUVs? Check. Porsche-rivalling supercar in coupe and spyder bodystyles? Yep. MINI-bashing small hatch? It's in showrooms now. 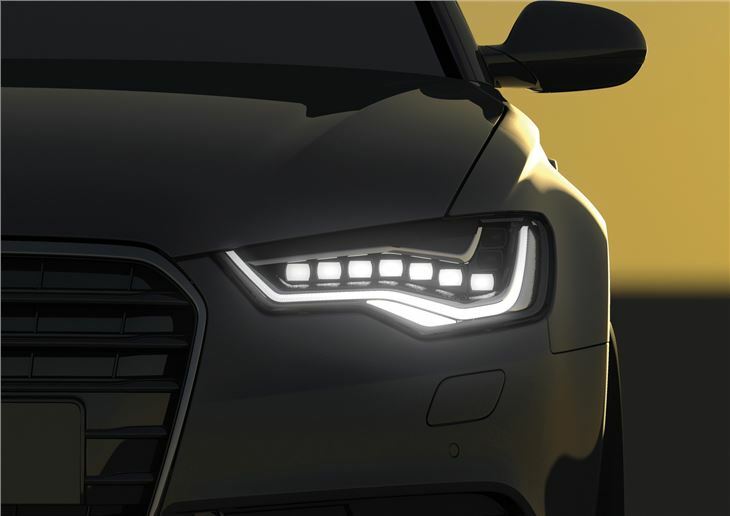 And with each new launch, the Audi brand has been stretched in a slightly different direction, broadening its appeal and picking up new types of buyers. The range now covers almost every price point from the A1 supermini at £13,420 to the £121,970 R8 supercar. 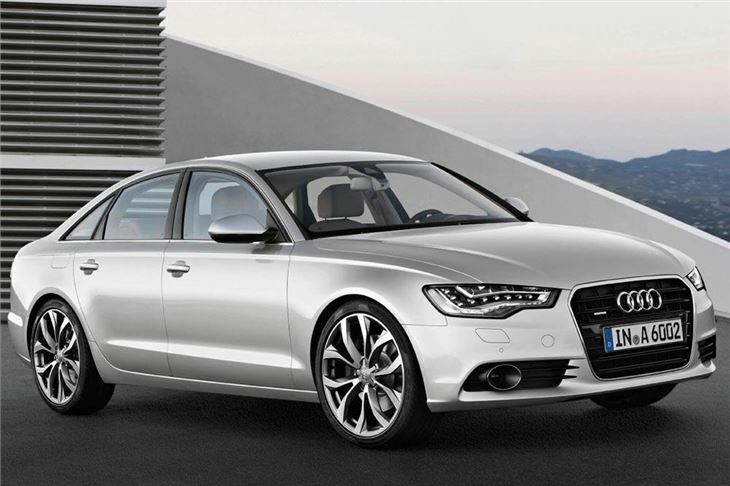 But now it's back to basics, with an Audi staple: the A6 saloon. 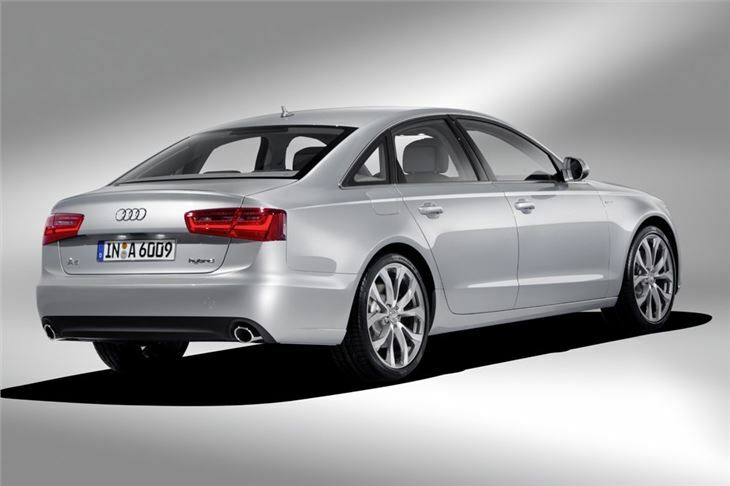 It's a model that can trace its roots back to the Audi 100 of 1970, with more than seven million sold. At first glance, the latest generation isn't a radical departure from the old car, first launched in 2004. 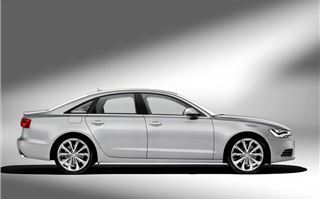 But this is an all new car and, like the A7 Sportback that was launched in late 2010, it has a longitudinally mounted engine with a driveshaft along the side of the transmission and drive brought forward to a differential situated between the engine and transmission. 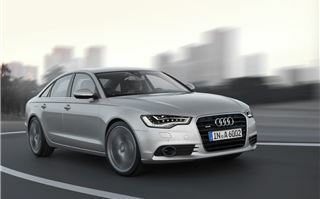 But the biggest change is what this means for those who are thinking of choosing the A6 as a company car. Over the past couple of years, the old A6 - which is after all almost seven years old - started to lose ground to the leaner and greener Mercedes-Benz E-Class and BMW 5 Series. So the two diesels - a 177bhp 2.0-litre and 204bhp 3.0-litre TDI - not only look attractive to company car buyers, they're actually top of the class when it comes to benefit-in-kind (BIK) tax for this type of car. 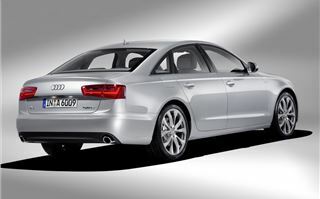 The £30,000 2.0-litre TDI leads the way, emitting just 129g/km of CO2. Even a few years ago, a figure that low in a car of this size would have been unthinkable. That means it falls into the 18 per cent band and a higher rate tax payer will pay £2166 in BIK tax. 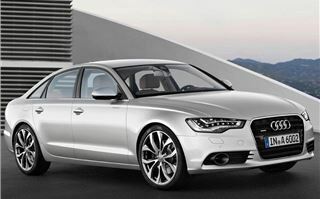 What has helped the drop in CO2 is that this A6 is partially constructed from aluminium, making it lighter than ever. It weighs in at 1575 kg, undercutting the 520d by 140kg and the E220 CDI by 160kg. 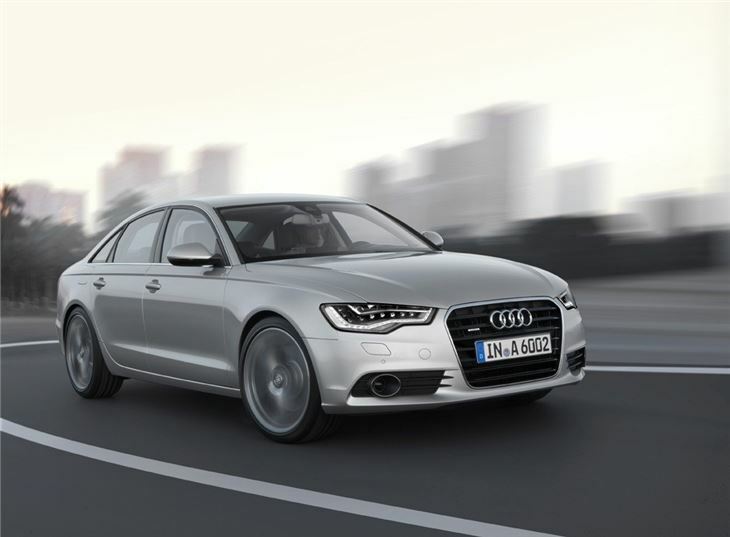 It means that the A6 2.0-litre TDI now has an identical CO2 figure as the BMW 520d. That's not all they have in common. Both have identical predicted future residual values, with each retaining around 36 per cent after three years/60,000 miles. Although if you're a private buyer, that still means waving goodbye to the best part of £20,000 - whichever car you choose. 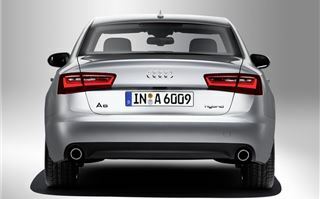 Another reason that CO2 has dropped is that the A6 now has a series of technologies to conserve energy and encourage the driver to be more efficient. 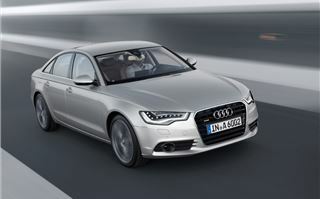 Later in the year there will be a hybrid model based on the 2.0-litre TFSI petrol engine coupled to an electric motor. It's claimed to return up to 45.6mpg, be capable of zero-emissions urban driving and offer 245bhp.. The accountant's favourite - the front-wheel drive 2.0-litre TDI - is a miser on paper, but surprisingly enjoyable on the road and a noticeable improvement on the old car. Far from being underpowered, as you may expect from a small engine in such a large car, it always feels capable - even when you're overtaking slow-moving traffic. The standard steel spring suspension will suit most buyers and manages to combine comfort with decent body control over a variety of surfaces. S-line models get a lowered version of this suspension, which means crisper handling but at the expense of comfort. 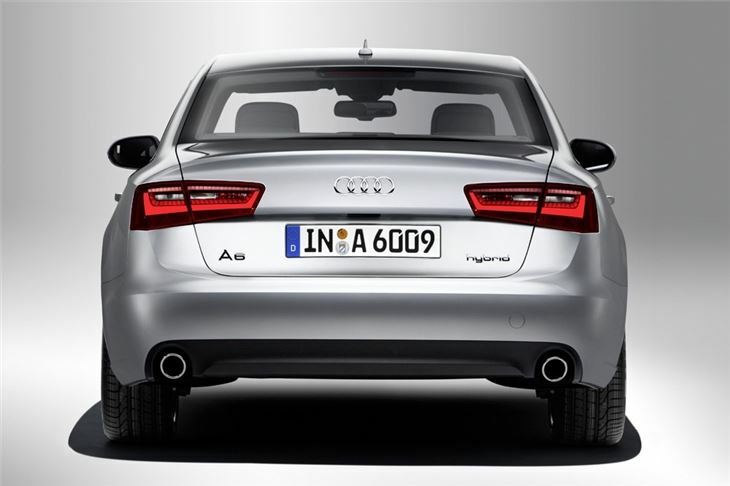 Every A6 now comes with 'Drive Select', selected through the MMI interface. This allows the driver to fine-tune the accelerator and steering wheel responses. 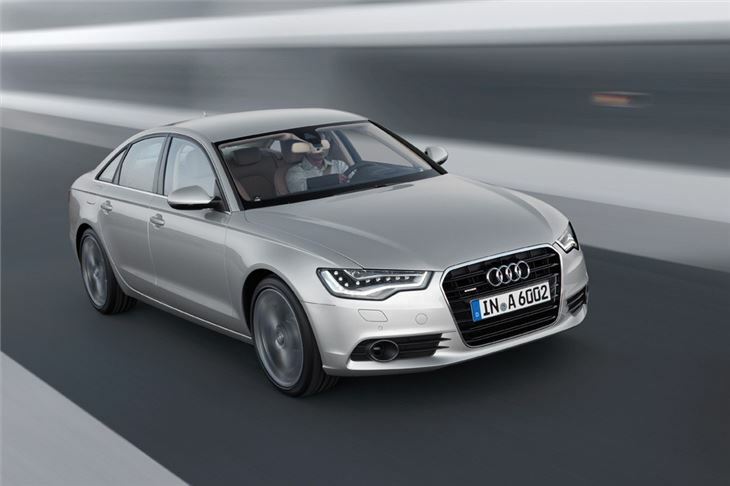 Comfort mode makes the A6 a lot more laid-back, while Dynamic sharpens everything up. 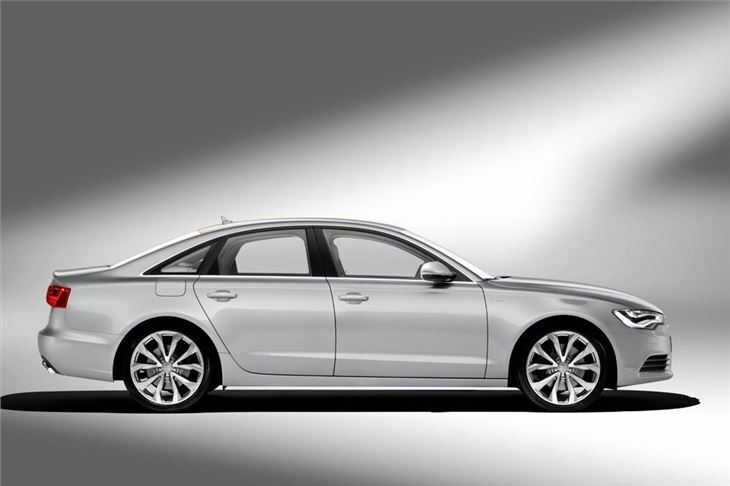 Visually, this A6 is far more sophisticated than the model it replaces and there's a real attention to detail. 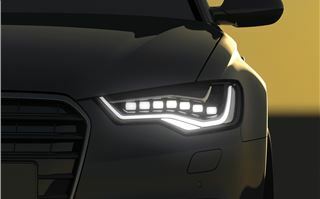 At the front you get the LED headamps that are fast becoming Audi's trademark, but these have been tuned to minimise the dazzling effects on oncoming drivers. Inside, it's almost identical to the A7, with high quality materials, great fit and finish and a stunning level of attention to detail. It's comfortable too, with supportive, highly adjustable seats and an incredibly quiet cabin. In the back, there's enough space for two adults to sit very comfortably, with more head, shoulder and leg room than before. There's also an incredible range of optional extras. 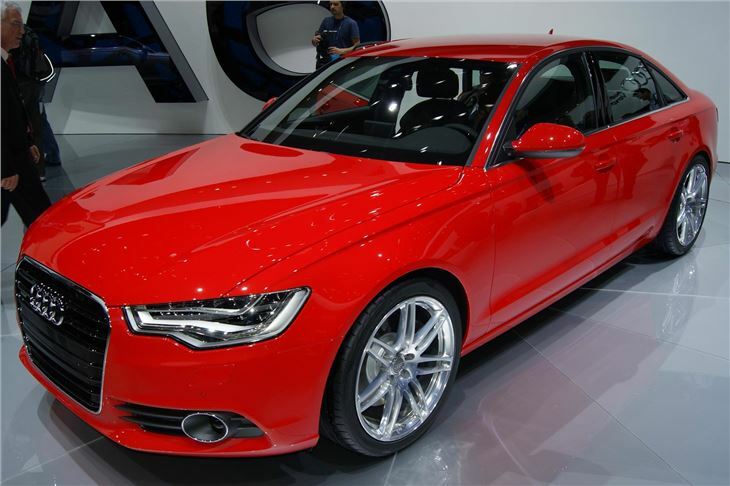 Even by Audi's usual standard, the list is long. Highlights and new features include the ability to turn the car into a WLAN hot-spot for working on the move; an infra-red camera to spot dangers in the road at night; sat nav with Google maps integration; Bang and Olufsen stereo; Active Lane Assist (kicks-in if you stray out of a lane on a motorway); a self-park function and a head-up display.